COLUMBUS, Ohio (AP) — An advertising and media firm to which Ohio gubernatorial candidate Richard Cordray’s agency gave government work while he was a federal official is now doing political work for him. Washington-based GMMB has been making Ohio ad buys for Democrat Cordray’s gubernatorial campaign against Republican Attorney General Mike DeWine, according to records reviewed by The Associated Press. The two are locked in a high-profile fight for the office Republican Gov. John Kasich vacates in January because of term limits. GMMB’s political work for Cordray, former director of the Consumer Financial Protection Bureau, follows Republican criticism that the bureau’s decision to hire the firm under Cordray’s watch was politically questionable. GMMB was the lead advertising agency for the successful presidential bids of Democrat Barack Obama in 2008 and 2012. Obama is campaigning for Cordray in Cleveland on Thursday. Cordray’s campaign said there’s nothing improper about the firm’s work for the government or the campaign. At the time it was hired by the federal consumer bureau, the agency was working to raise a new federal agency’s pro-consumer profile among Americans. The Office of Inspector General reported in June that costs tied to GMMB’s contract with the consumer bureau grew from the original estimated value of $11.5 million to $43.8 million from August 2013 to February 2018. The office found the bureau could have better managed the contract and urged stronger controls. Besides Obama’s campaigns, GMMB has served Democrat-aligned clients including Emily’s List, the Democratic Governors Association and the League of Conservation Voters, according to its website. It also did government work pitching the benefits of the Affordable Care Act. GMMB has worked for Democratic and Republican administrations, including Trump’s. The inspector general said the firm was selected by the consumer bureau through an open competitive process. 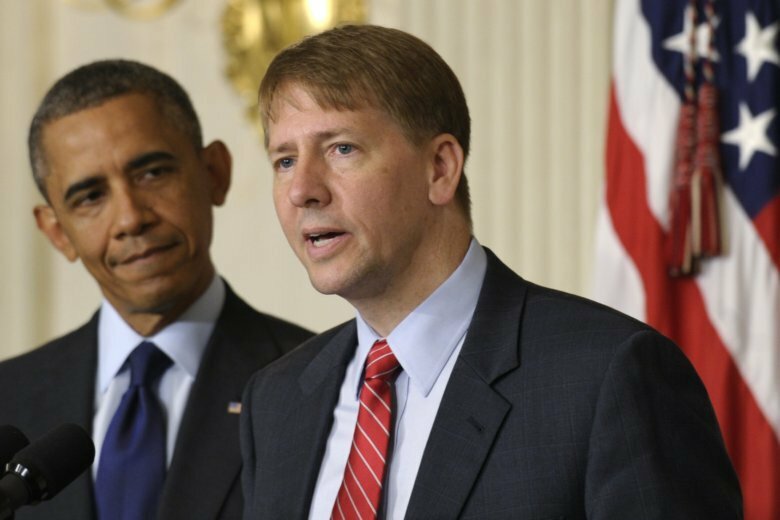 Catherine Turcer, executive director of Common Cause Ohio, a nonpartisan watchdog group, said the Cordray campaign may have looked at GMMB’s successful work for Obama and felt it was a good fit — but such relationships should still be approached with caution.